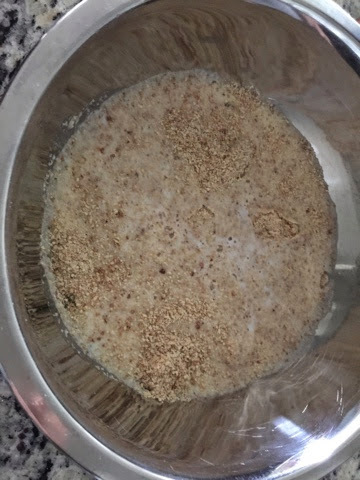 First, measure out the bread crumbs into a small bowl and add in the milk. Set aside to soften. 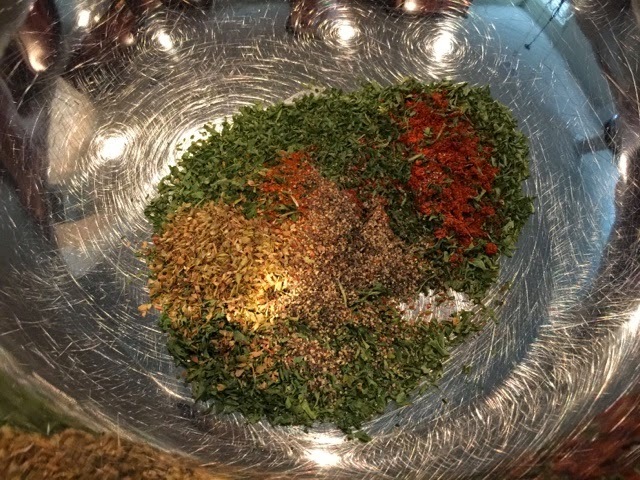 Mix all the spices together in a large bowl. Beat in the eggs. 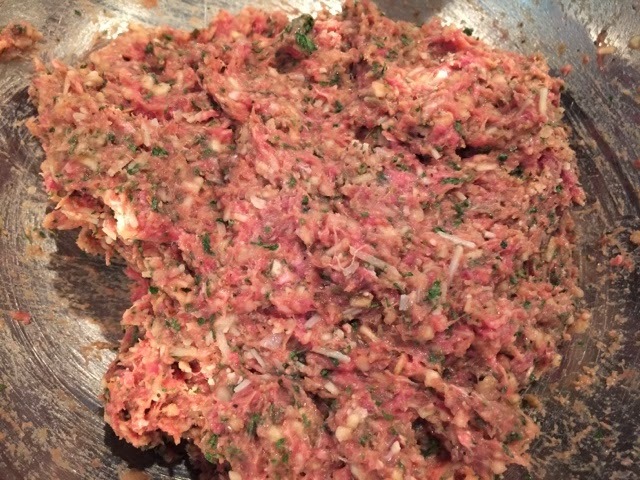 Add in the ground beef and then mix in the softened bread crumbs/milk mixture. Mix in the cheese. 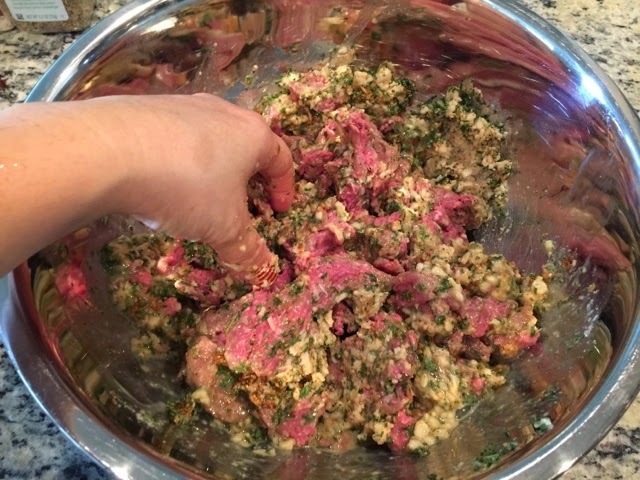 Mix well until everything is blended really well together. 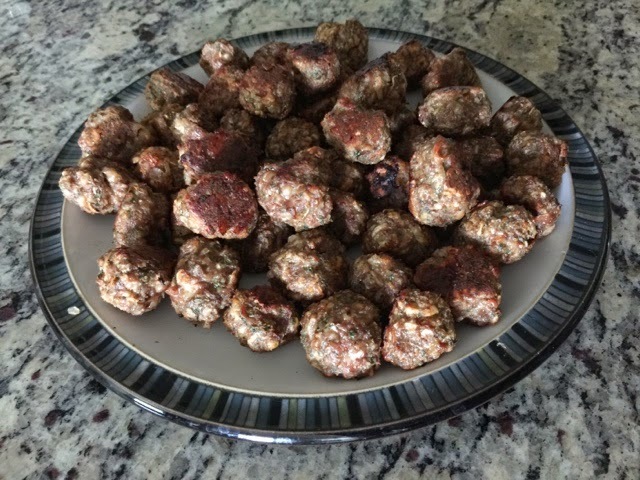 Form the meatballs to desired size and cook in oven or sauce. 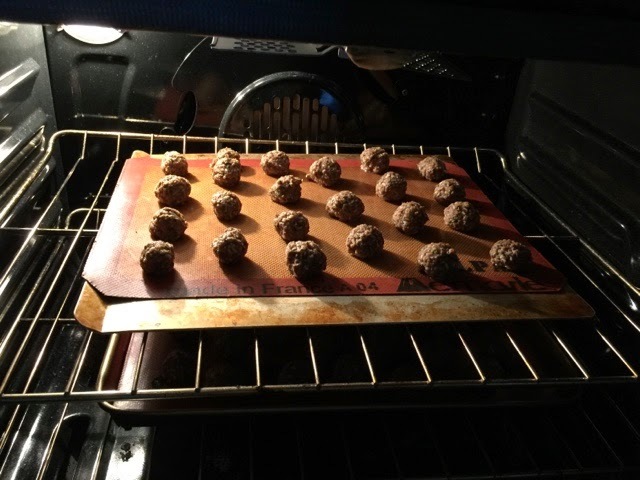 I put them in the oven at 400f for 10 minutes then turned them and then cooked another 5 minutes. 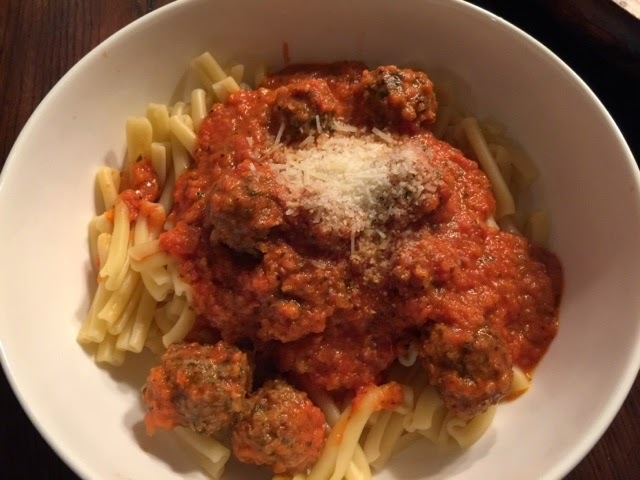 I put half of the meatballs in the freezer and half of the meatballs in spaghetti sauce.